A Premium Learning Companion Kids Love! Quality Education Begins At Home. Instill Character Traits for Future Success with TEBie! 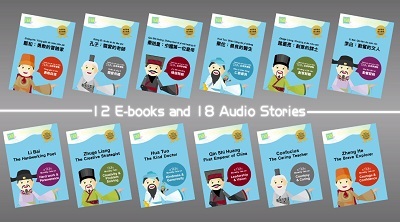 - online access to 12 e-books and 18 audio files in English, Mandarin and Cantonese spoken by native speakers. TEBie is purposefully designed to create the best nurturing environment for children to grow and reach their full potential via play. 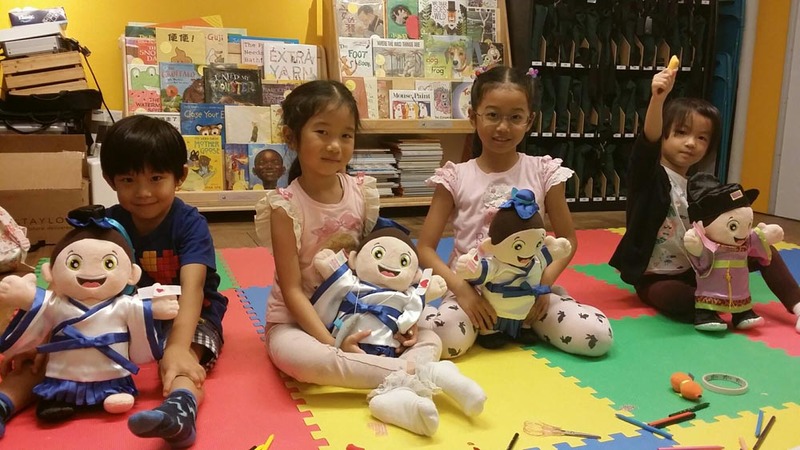 Playing with TEBie involves storytelling and multi-sensory activities that promote character building, family bonding and learning about history, cultures, and languages. 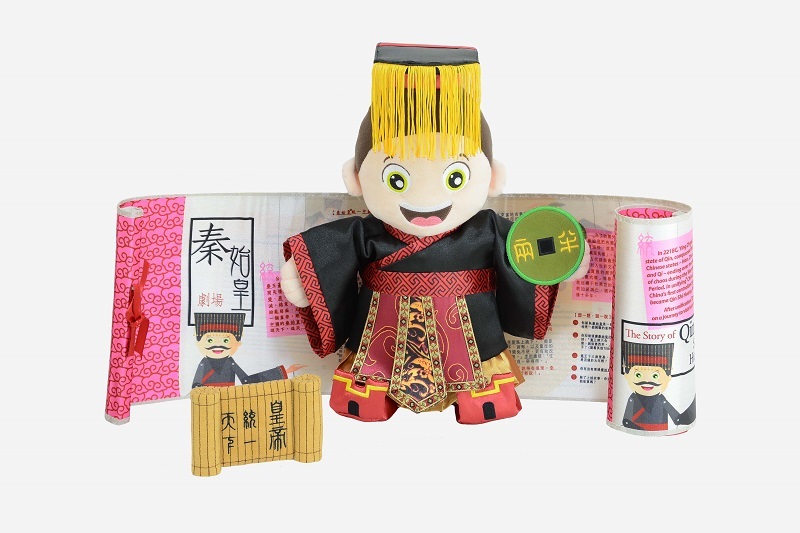 Ideal for treating your child or gifting to a friend, TEBie, this premium learning companion is sure to delight! 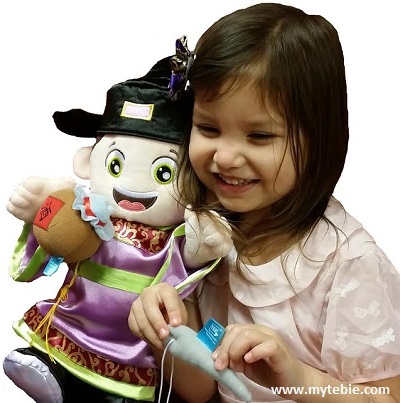 TEBie – A Fun Multi-Cultural Learning Companion Kids Love! 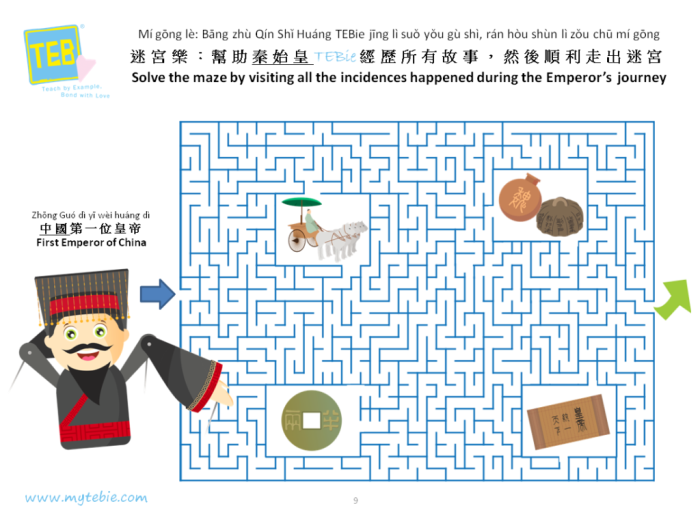 While playing with TEBie, children travel through time and learn about various exemplary historical figures. The historical figures represented were carefully picked for their significance in various important professional fields and the moral virtues each represents. Inspire your child for the future with constructive examples of success in the fields of education, leadership, medicine, management, literature and exploration. TEBie’s lessons provide time-tested wisdom that broadens a child’s horizons and promotes analytical thinking to solve problems, which will serve them well for the rest of their lives. 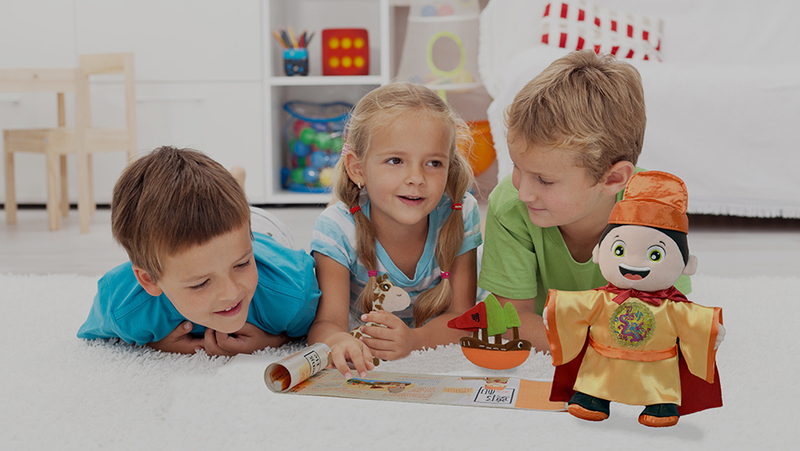 TEBie satisfy the ASTM and CE toy safety standards for the US and EU markets. To highlight the background and the personalities of story characters, TEBie’s clothing designs and color combinations are both striking and memorable. 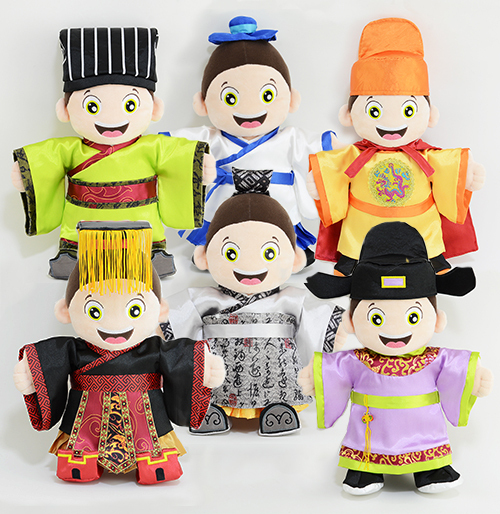 The premium costumes are carefully designed to help children visually identify various historical figures and retain the content of the stories. 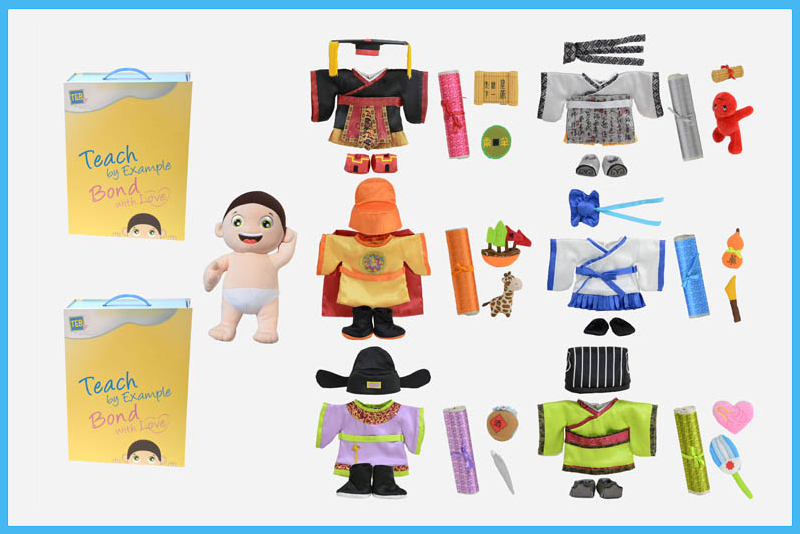 With six character sets of various professions ranging from leader, teacher, explorer, doctor, strategist, and poet, children get to explore both the past and the modern, putting knowledge into real world practice while having fun. Through multisensory stimulation and personal interaction, TEBie encourages children to do more listening, observing, exploring, analyzing, and imagining. 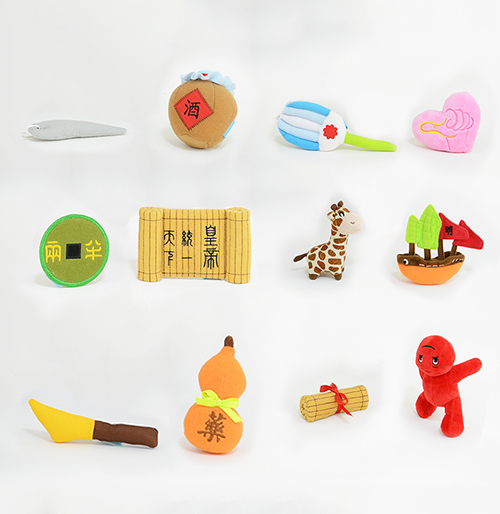 Each TEBie set comes with two plush accessories that are specifically designed to help children retain the content of stories and enhance their playtime creativity. Multi-sensory and interactive play promotes children’s cognitive development and emotional well-being. 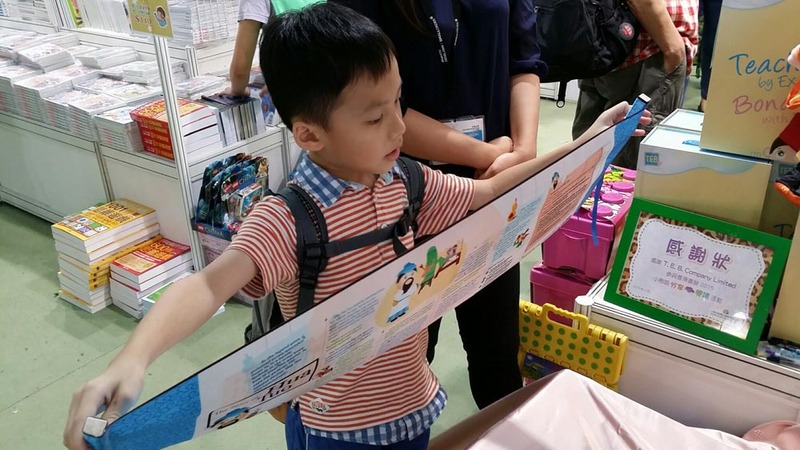 Through stimulation of multiple senses and personal interaction, children can transform the stories into long term memories and knowledge more effectively. 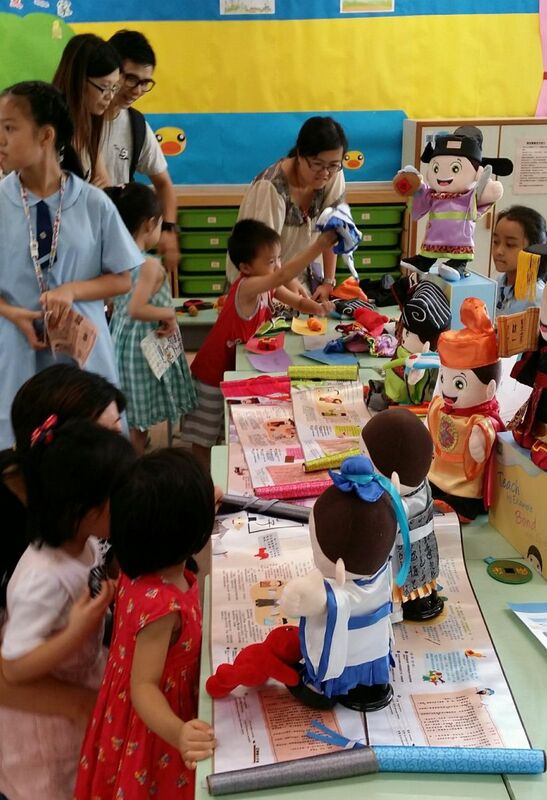 Learning through play creates a positive association with learning from an early age. This positive experience with learning will carry through into the classroom, where TEBie children can absorb knowledge more effectively. At the end of each bilingual story, there is a Food For Thought section with questions that aim to open up dialogue for parents to talk with their children for better communication and understanding. Some questions include moral values and discussions, where parents are encouraged to share their wisdom and experience with their little ones. We see this as a perfect opportunity for parents to instill family cultural values to their children. 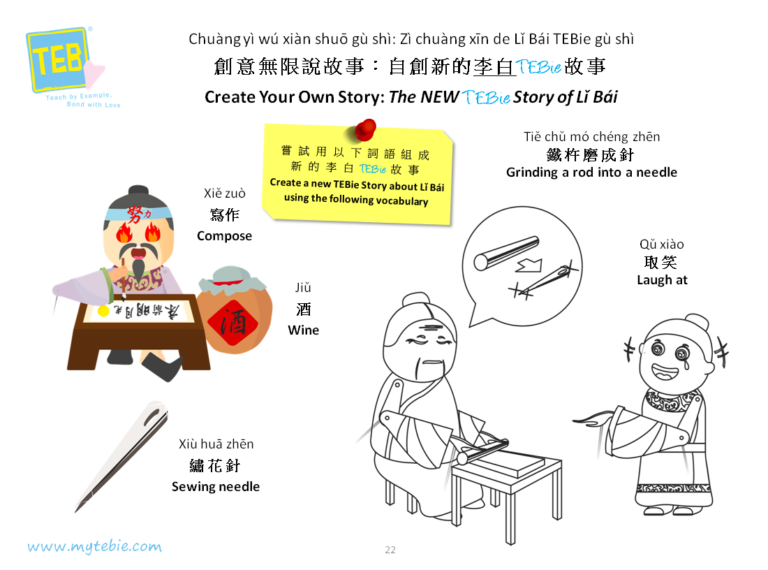 TEBie stories are printed on a soft and beautiful double-sided scroll, with one side in English and the other in Chinese. 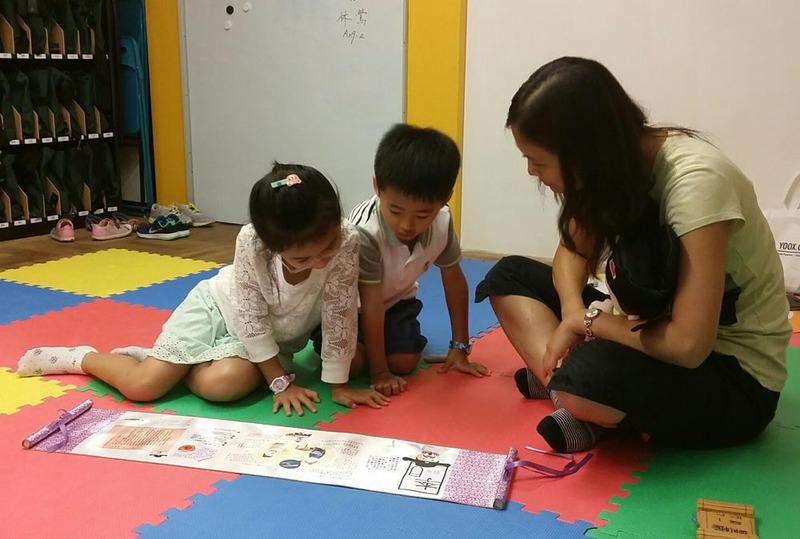 The bilingual scroll will assist children in developing fluency in multiple languages. The Key Words and Phrases used within the stories are also designed to be both approachable for children and advanced enough to provide opportunity for growth. Through reading, listening, and storytelling, children’s language capabilities will be strengthened. 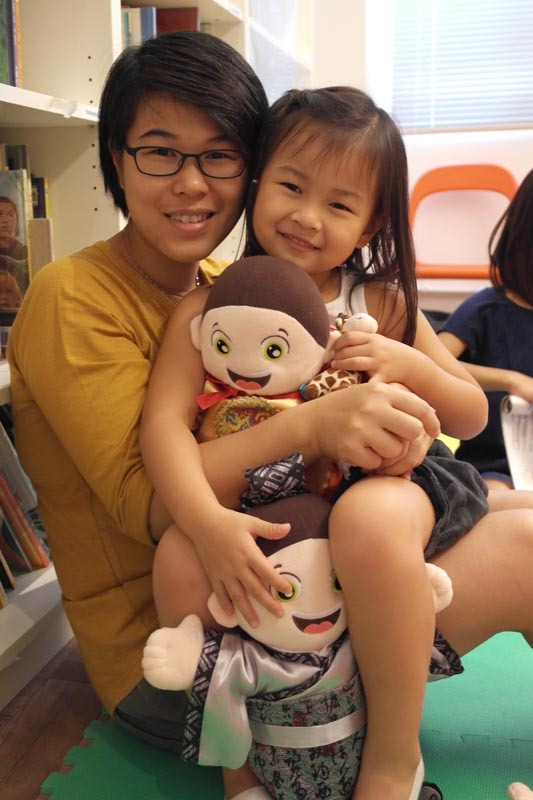 Get ready to hear your little one telling you an exciting TEBie story in English, Mandarin and Cantonese! 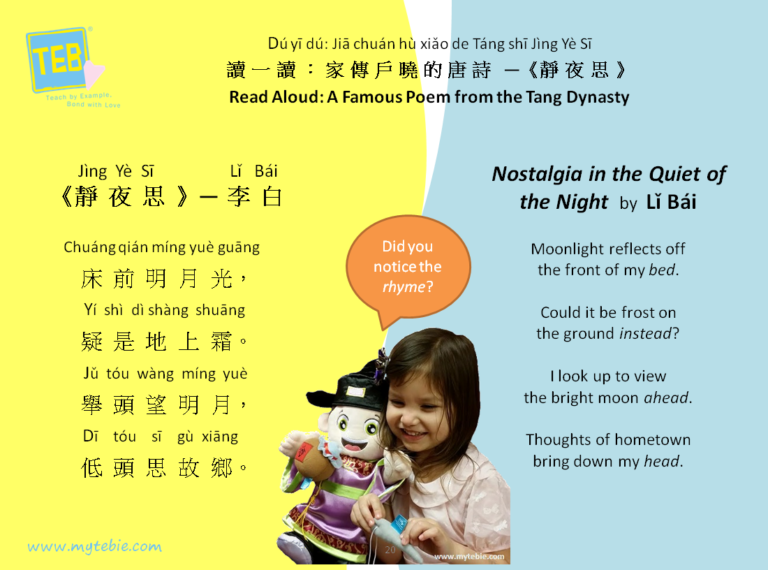 Encourages character building via moral stories, reinforced with a fun 32-page activity book in English, Chinese and Mandarin Pinyin, and online content of 12 e-books and 18 audio stories in Cantonese, English and Mandarin spoken by native speakers. Explore the world of 3 TEBie stories with your child at an unbeatable value price! Bond with your child over 3 TEBie stories with the choice of Explorers Pack A or B. Start teaching the time-tested wisdom shared by these TEBie stories to help your child both in school and throughout life. 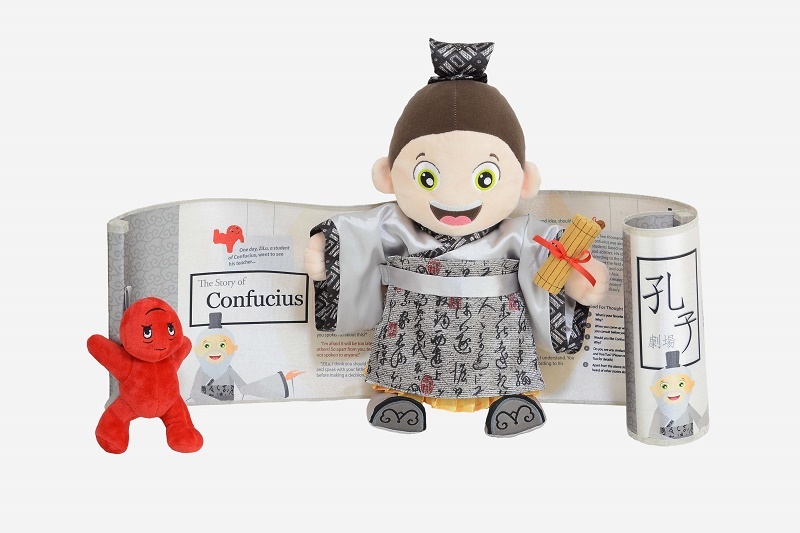 Meet Confucius, the wise teacher and learn about love and respect! Meet Qin Shi Huang, the first emperor of China and learn about the impact of leadership and modesty! 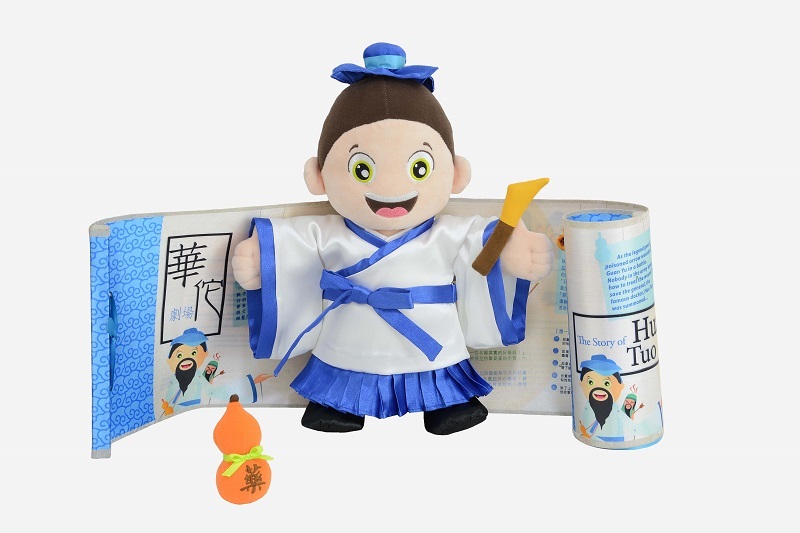 Meet Hua Tuo, the kind-hearted physician and learn about the good virtue of giving others a helping hand and the medical profession! 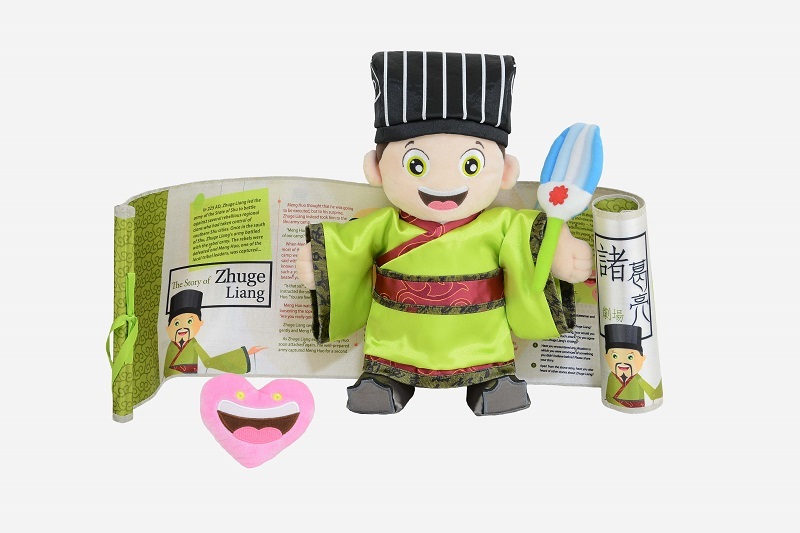 Meet Zhuge Liang, the wise strategist and get ready to learn about solving problems creatively; help your loved one excel both in school and in life! 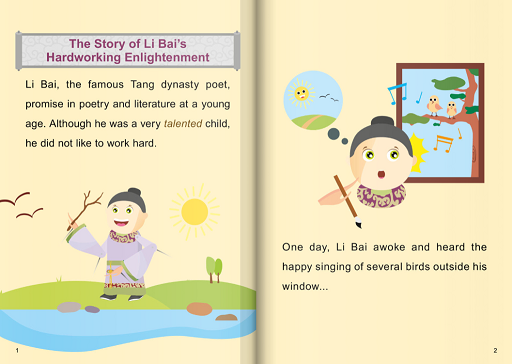 Meet Li Bai, the famous poet and learn about the importance of hard work and perseverance. 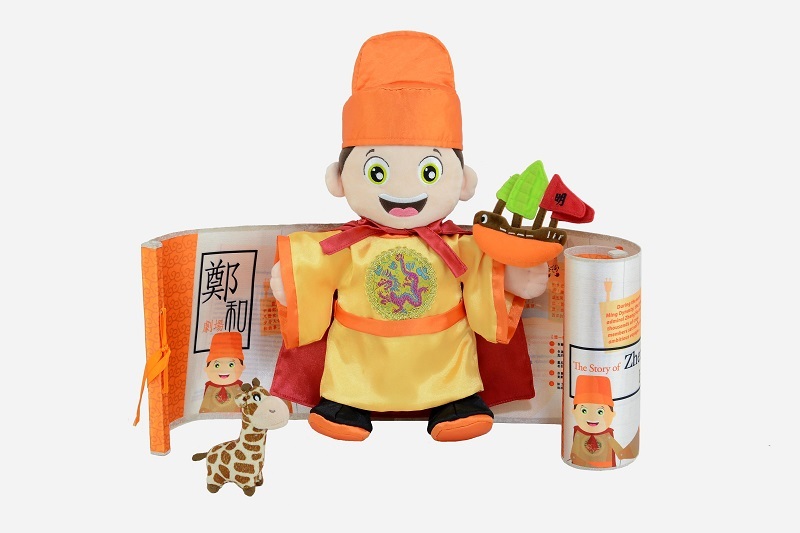 Meet Zheng He, the adventurous explorer and learn about the joy of friendship and bravery! 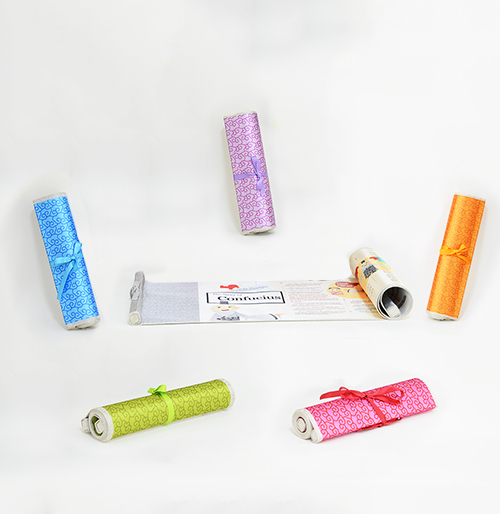 Ideal for treating your little one or gifting to a friend, TEBie is sure to delight! Indulge in the wisdoms of all the TEBie stories at a very TEBie price! 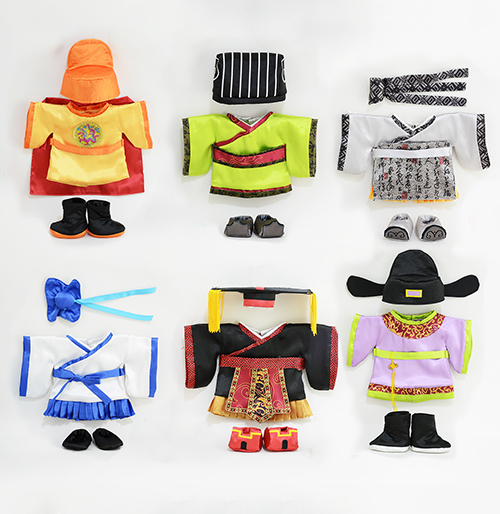 Mix and match over 35 pieces of costumes, accessories, and stories to build a lifelong relationship with your child everyday. Learn about the most famous Chinese historical figures from various dynasties and professions. 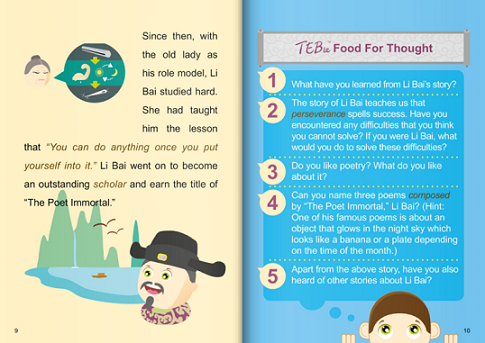 Instill your child the time-tested wisdom shared by these TEBie stories to broaden their horizons and promotes analytical thinking to solve problems, which will serve them well for the rest of their lives. A legend is born! Experience history and culture to the max with the best offer today! This is the ultimate TEBie experience. 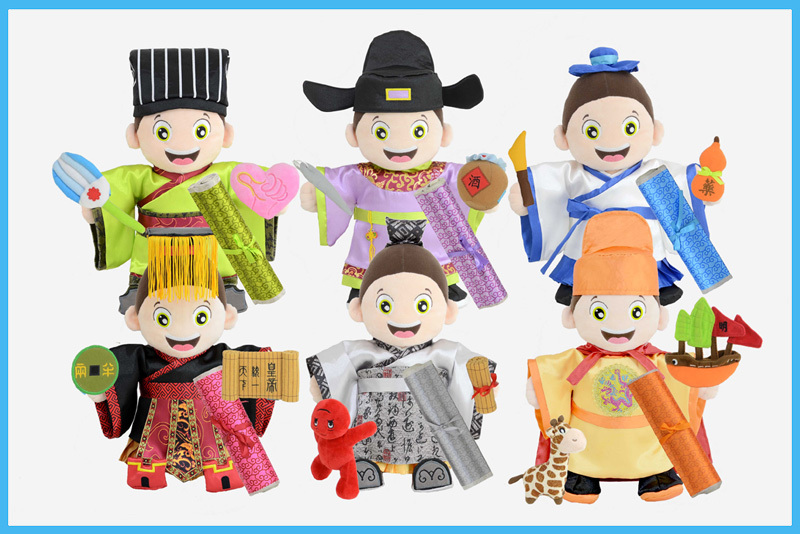 Kids will be able to play with multiple characters at the same time, providing maximum reinforcement to TEBie historical and moral teachings. 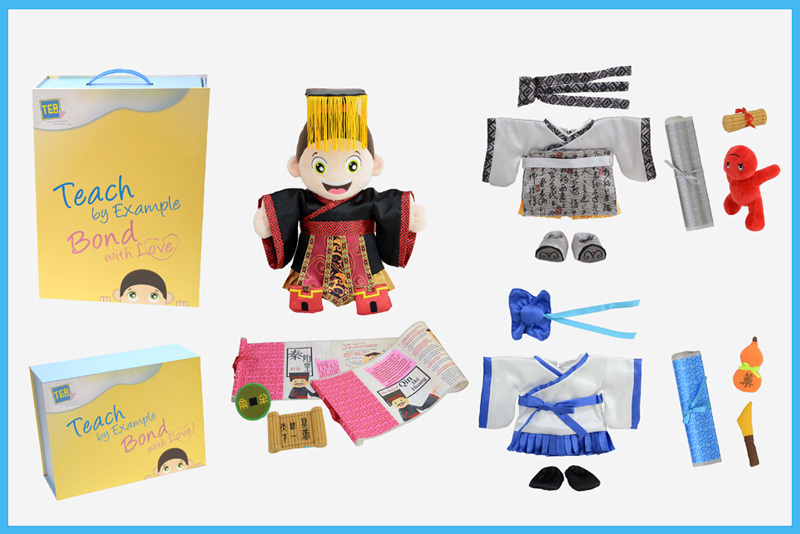 Indulge your little one with only the very best, collect all 6 TEBies today! 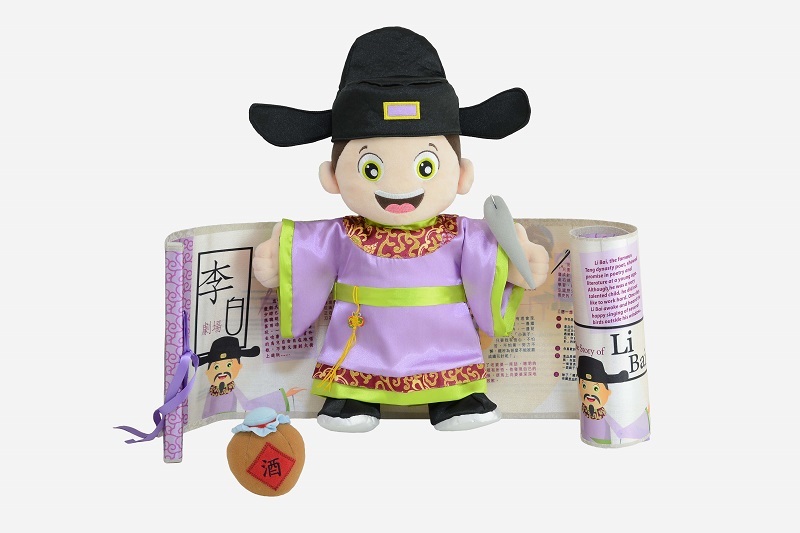 Join the adventure as TEBie unveils how Confucius, a famous Spring and Autumn Period philosopher and educator, instilled students with confidence and wisdom! A 32-page activity book include fun activities such as coloring, maze solving, drawing, poems, etc. Join the adventure as TEBie unveils what happened during a national tour that prompted Qin Shi Huang to implement sweeping new policies which still affect the world significantly in present day! Join the adventure as TEBie unveils the legendary incident that inspired Hua Tuo, the kind-hearted physician, to invent anesthesia for pain relief during surgery! Join the adventure as TEBie unveils the strategy used by Zhuge Liang, the famous statesman and military strategist, to stop another tribe leader’s rebellion! 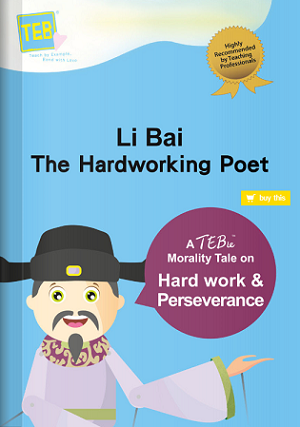 Join the adventure as TEBie unveils how Li Bai, the famous Tang Dynasty poet, transformed from a lazy to a hardworking student! Join the adventure as TEBie unveils the exploits of Zheng He and his fleet during their voyage to the West! Yennie Darkins — Blogger, writer and mother of three daughters ages 5, 7 and 9 years old. Karen Ling — Aunt of an 8-years-old niece. Mrs. Chou — mother of a 1-year-old son. We’d love to hear from you! If you have questions about an order, please include your order number and name in the message. Otherwise, feel free to ask any general questions, provide feedback, or make suggestions. We can be reached at info@mytebie.com, and we promise to get back to you as soon as possible. In the mean time, have a very TEBie day ! Let's hear from our TEBie fans! 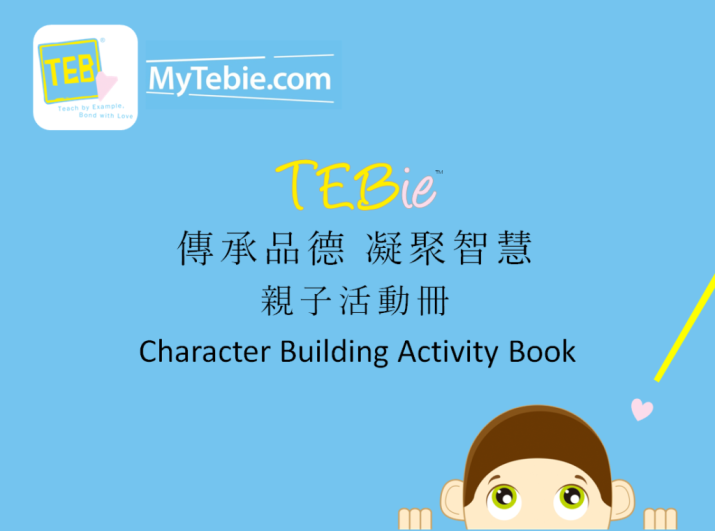 TEBie Character-Building Activity Book, 12 Ebooks & 18 Audio Stories! 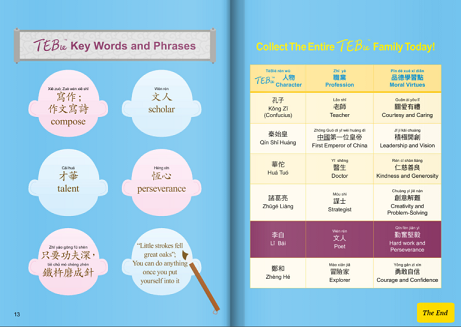 Maximize our children's future well-being - build characters with TEBie morality tales by accessing 12 E-books and 18 Audio Stories in English, Mandarin and Cantonese spoken by native speakers! 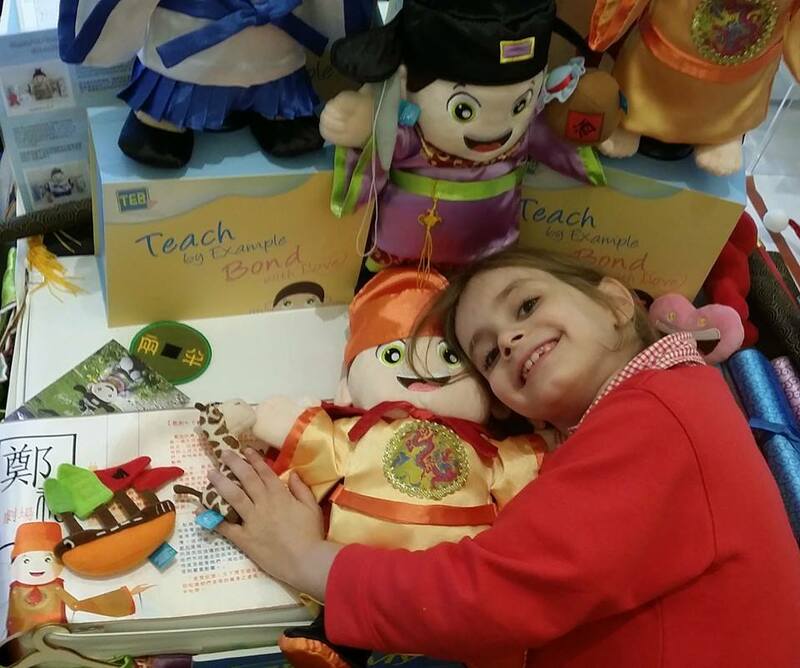 Don't miss out on our fun TEBie Character-Building Activity Book!